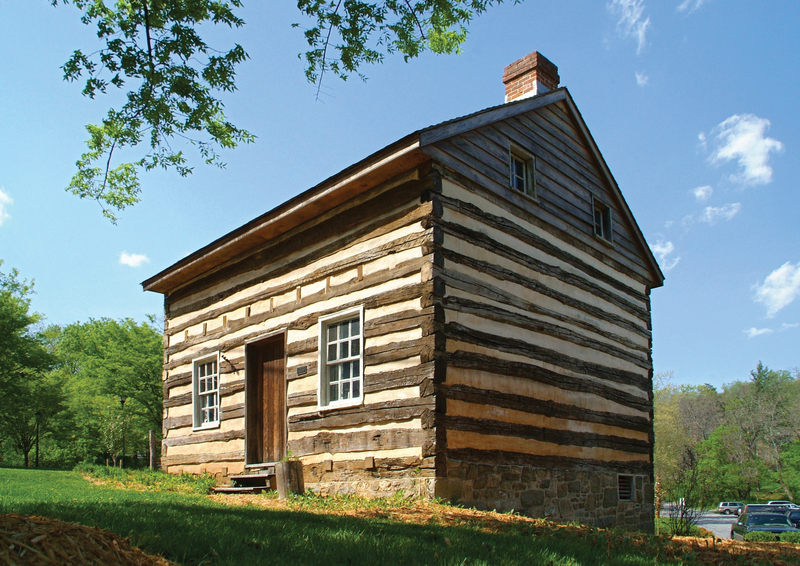 Originally located on Merryman Street, the circa 1780, building known as the Thomas Isaac Log Cabin was donated to Historic Ellicott City, Inc. by the Stanton family, in the interest of preserving it. The cabin was dismantled in 1980, stored by the County at Centennial Park and reassembled on its new site at the corner of Main Street and Ellicott Mills Drive in 1987. HEC dedicated the cabin in its new location on July 16, 1988, and at that time transferred ownership to Howard County. HEC continued to lease the building for historic and educational programming until 2003, when the County took over. Today it is the headquarters of the County’s Ellicott City Historic Sites Consortium.